"Follow your heart," they say, "and you'll never work a day in your life." I don't know who it is that feels this way, but it's certainly not me. The way I see it, following your heart is the hardest thing you can do. Following your heart means you'll care so much about something you'll be willing to work yourself mad for it. There were so many good days as a cyclist. Days when I would race against motorbikes in the velodrome. Days when I got to travel the world. Days when I got to win gold medals in front of my family in Toronto. Those days made the work worthwhile, but man, we worked. I remember one Christmas Eve, Coach Erin Hartwell worked us so hard I took a nap on the floor before I could drive home safely. That day we had trained in half-light, because technically the building was closed. Then there were periods of time when training was going so poor I refused to let Erin give me any split times, because each slow split felt like it was going to break me. There is something either beautiful or completely mad about what athletes put themselves through. It's extraordinary, really, how strong your body and your mind can be when properly motivated, and how some people can take themselves to the very edge of the cliff, and pull themselves back just in time. I pushed myself in sport for 15 years, fueled by the desire to be the very best. After both the London and Rio Olympics, I walked away fully drained. It took me 18 months to recover from the build-up to London before I came back to training, and now, post Rio, I know that I have nothing more to give. Editor’s note: Sullivan certainly gave all she could. 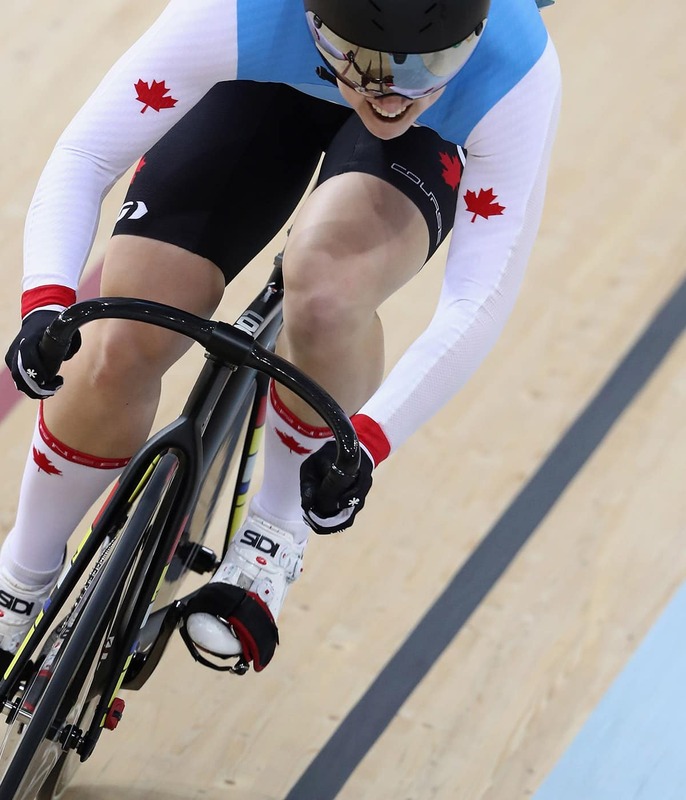 She competed in five separate Olympic race events in 2012 and 2016, delivered three separate Pan Am gold medals in 2015, five other gold and silver Pan Am Championship medals between 2010 and 2014, and more than a dozen World UCI events since 2009. Sullivan leads a tour of Canada's only world-class velodrome. I am an engineering graduate and since January I have been working with the Schulich School of Engineering to try to figure out why more women aren't entering the profession. I spend my days in high schools talking about how to mix one’s passions with academics, and how to find a career that inspires. I have called over 250 women to talk about how an engineering background is a foundation for pretty much any career, and we talk about how cool calculus is, and that university can be daunting, but trust me, it’s way better than high school. I am starting graduate school in the fall to study engineering education, which is a fascinating blend of hard science and social science, because even though I love my engineering background, I know we can teach it better. Even though my passions have changed, it has taken me a long time to accept that I no longer get to dream about Olympic medals. That goal guided all of my decisions for so long that I was really scared to give it up. Without that main goal, all of the smaller decisions in my daily life felt overwhelming. What should I eat for breakfast if I'm not training afterwards? How much sleep do I need? How should I spend my weekends? I've caught myself mid-sentence automatically saying no to social events before realizing that actually, I can do those things now. It turns out that weekends are easy to fill, and that not needing 20 grams of protein every three hours means there are many more food options. Somehow, even though my days don't look anything like they did a year ago, I'm still Monique. More than anything, I still get to ride my bike, and I really can't tell you how happy I am to be able to ride again, just for fun.